What can be said about the Les Trois Vallées besides “ski heaven!”? This enormous ski area (arguably the largest in the world) sits in the heart of the French Alps and occupies a substantial portion of these mountains. Ski non-stop for a week – over 200 lifts, 283 marked trails and tens of thousands of acres of off-piste terrain are sure to wear out even the heartiest of skier. Quintessential alpine charm and one of today’s most advanced ski infrastructures make Les Trois Vallées the perfect ski vacation. Lively nightlife and shopping in traditional “Savoyard” style create incredible memories and good times! 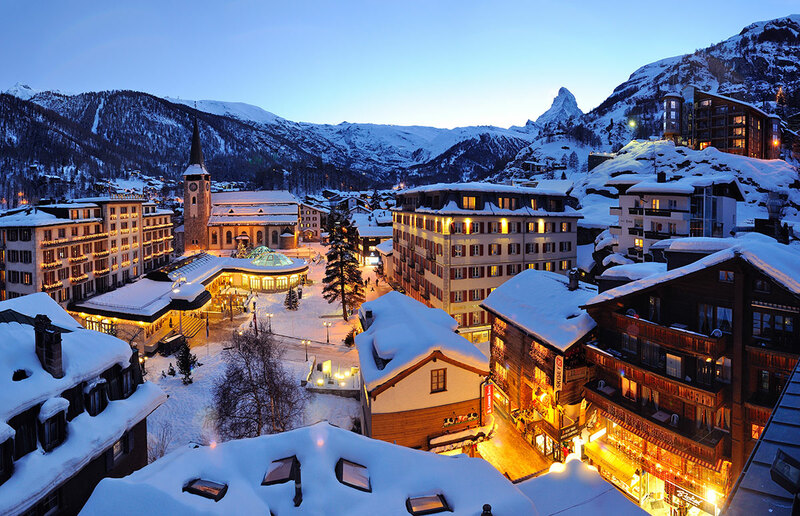 Méribel offers more luxury-class hotels, chalets, and apartments than possibly any other ski destination in Europe. Their marketing slogan is “The Heart of Trois Vallées” and is almost perfectly located for a trip to Les Trois Vallées – if it were not for it’s upper satellite village of Méribel Mottaret. Méribel Mottaret is about 1,000 feet higher, which almost ensures plentiful snow coverage and the best starting point to ski Méribel valley and easy access to Courchevel and Val Thorens. At 2,300 meters, Val Thorens is the highest ski resort in Europe, and thanks to its altitude (7 summits or skiable areas above 3000 m). It guarantees exceptional snow from the end of November until the middle of May. This snow delights by allowing skiers to be spread out throughout the ski area and adapted for all levels: very easy around Val Thorens village (ideal for children and beginners) and moderate or difficult slopes closer to the top. As for experienced skiers and snowboarders, they can make numerous runs all day on the powder fields. Courchevel is actually four separate resort villages located at different altitudes and with very different personalities. Courchevel 1850 (1,850 meters) is an international resort with a worldwide jet-setter image and the best place to stay on this side of the resort. Like the stylish Megéve, many skiers come here to see and to be seen. The other three resorts here are Courchevel 1650, Courchevel 1550, and Le Praz (or Courchevel 1300) and the price decreases with the altitude.